Numerous balls, intially a ball between 2. Blue player feeds the ball toward their partner using their hands (red player). They use any foot they like to side foot a volley back to their partner. The aim of this drill is to volley the ball back into the hands of their partner, showing good control and touch. 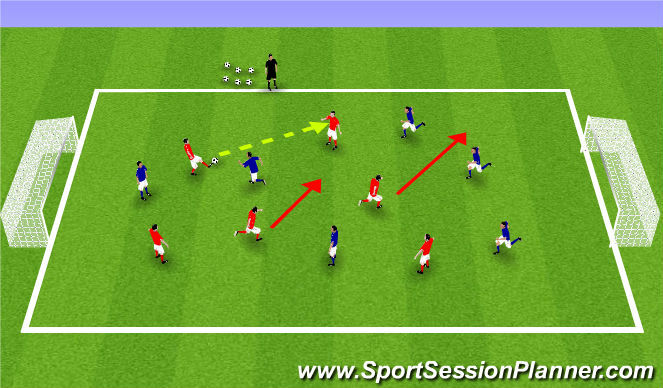 - Volleying players to turn and face away from their partners, who call &apos;turn&apos; as they feed the ball. They turn and have to re-adjust their position and volley the ball back. Blue player feeds the ball to their partner, but now they have to volley the ball back to their partner using their instep (laces part) of the foot. Players inside the circle have to move within the circle to any person on the outside and volley the ball back to them. Dependant upon how the ball is fed to them, it is up to the players to volley the ball back using either the side of their foot or their instep. Depends on how their body shape is positioned, they may have to do a side volley. The choice is theirs, using either foot. The players have a level of variability to manage, and also the contextual interference from the other players who are also moving within the circle. They have to move to a different player and cannot stay with the same feeder. Players on the inside work for a period of time (approximately 60-90 seconds) before swapping roles. 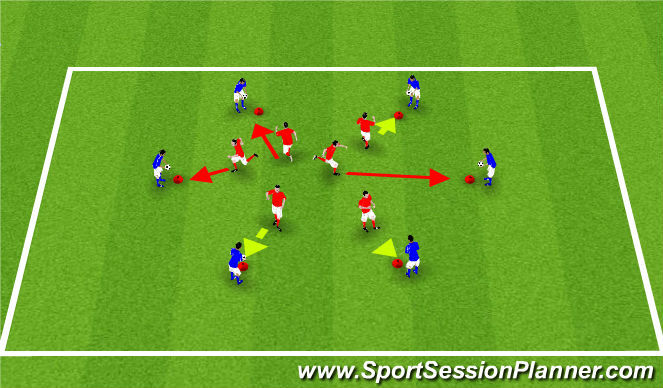 As per the blocked drills, but this time more focus is required with the added dimesion of moving quickly within the circle and communicating to the players on the outside and asking for the ball to be fed to them. Players can only pass the ball to each other by volleying. The person in possession of the ball cannot run and has to remain where they are, such as in netball. The rest of the team can move and get into position to receive the ball. - Can any players score a volley goal without catching the ball first? 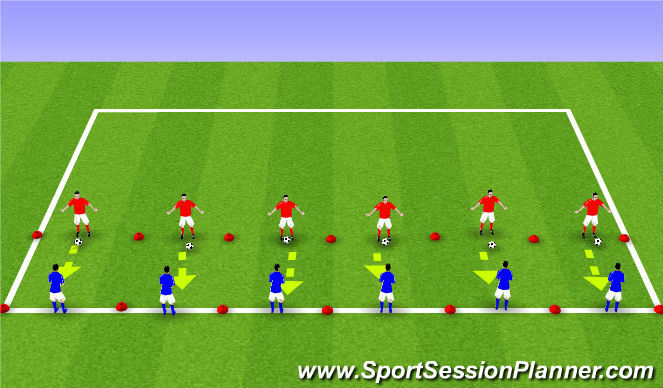 - Can any players pass the ball by volleying it without catching the ball?